Founded in 2007, OBDSTAR Technology Co., Ltd is a high-tech enterprise engaged in auto maintenance and repair device, including IMMO, cluster calibrate, diagnosis, oil/service reset and testing tool. OBDSTAR persists on innovation with self-owned intellectual property, professional marketing, and factory. Taking mission of high-quality products, technology and service for Auto field. Besides, OBDSTAR employs large quantity of rich experienced engineers who are especially concentrated on developing automotive electronic equipments. In addition, OBDSTAR has excellent after-service team who provides instant technology support and remarks kinds of feedback from customers and makes efforts to cooperate with our engineers of R&D to develop latest automotive device. 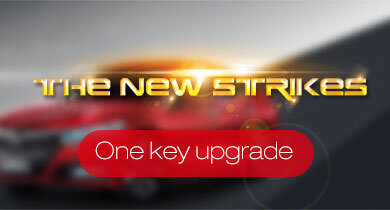 Since establishment, OBDSTAR has achieved great success and the device X-100PRO, Key Master and Key Master DP especially earned great reputation at home and abroad.